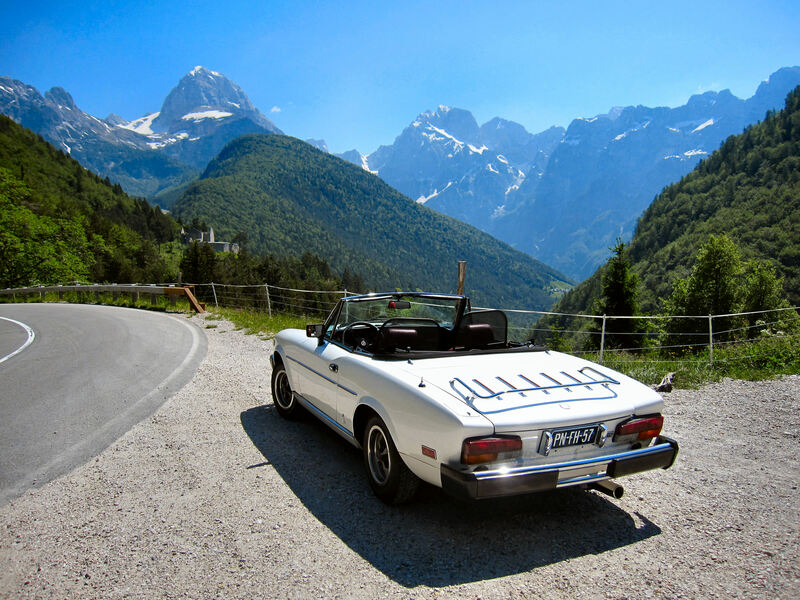 As you might have noticed, I am not spending much time these days to my beloved, time-consuming Fiat 124 Spider blog "La Bella Macchina" since the beginning of this year. And that has a significant reason. To be honest, I am too busy in a startup of a new personal adventure: a new enterprise in my old line of business again as a designer and creating craftsman. So, this is not a goodbye or farewell message, but just an announcement of a temporary time-out. I do regret daily that I am not able to split up myself and combine the time consuming activities owing to my new business ambitions and my undiminished, lifelong passion for the Fiat 124 Spider. Read about my passionate 5000 kilometers, solo ITALY TOUR of last year earlier in this blog. Although I am 71 years of age, I have all the energy and enthusiasm in the world to make a success of my new thrilling enterprise, because I am eager to GO FOR ANOTHER 20 YEARS. I will be back soon. Ciao !